A textured dobby weave gives this handsome indigo-dyed shirt a comfortable advantage. The indigo woven into these dobby-texture shirts will fade over time and become even more pleasing to wear. Indigo dye has been prized for thousands of years. And probably equally as long, we've worried about how to care for indigo fabrics. Thing is, you already know how. Those jeans you're wearing? Made from indigo-dyed yarns. We added a bit of pop with red grosgrain inside the back neck. 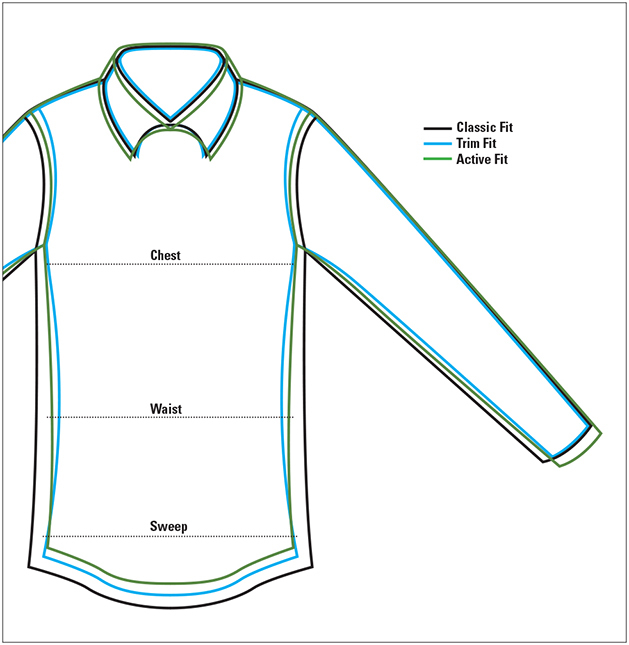 One patch pocket, back side-pleats, and two-button adjustable cuffs. Pure cotton. Washable. Imported.